The Lobster Elite 2 Tennis Ball Machine offers the user so much more. While Almost all machines sweep randomly left to right horizontally, the Elite Two also oscillates vertically, giving you short and deep shots in a random pattern to provide a better physical workout. Or choose your shot placement vertically only and horizontally only. 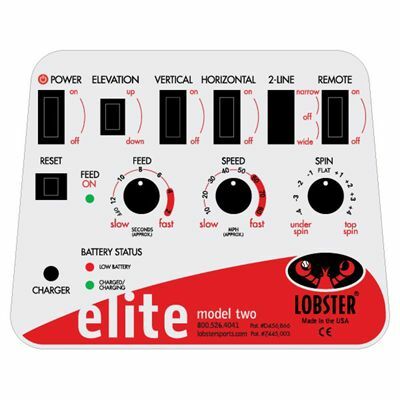 for submitting product information about Lobster Elite 2 - Tennis Ball Machine We aim to answer all questions within 2-3 days. for submitting product information about Lobster Elite 2 - Tennis Ball Machine. We aim to answer all questions within 2-3 days. If you provided your name and email address, we will email you as soon as the answer is published. 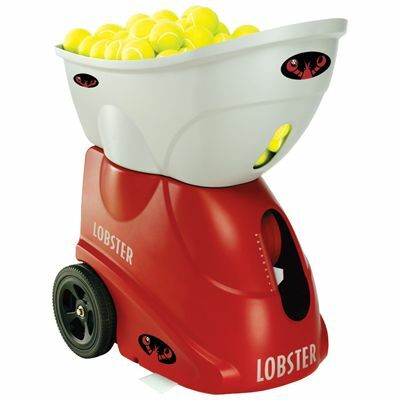 for submitting product review about Lobster Elite 2 - Tennis Ball Machine.